Can an injured motorcyclist receive Michigan No Fault benefits? During the next several weeks, I will be posting some frequently asked legal questions I receive from people injured in Michigan motorcycle accidents. The law for people injured in motorcycle accidents is different in Michigan than it is automobile accidents. Michigan is a No Fault law state, and motorcycles are not considered a “motor vehicle.” But that doesn’t mean a person injured in a motorcycle accident involving a motor vehicle cannot recover No Fault benefits for wage loss, medical care and treatment, and attendant care – they can – and the situations where this can occur are detailed for you below. Medical expenses: Reimbursement of your accident-related medical bills, for as long as the medical care and treatment is reasonably necessary to recover from your personal injury. Medical mileage: Reimbursement for the miles traveled to your accident-related medical appointments. Lost wages: Money to replace what you’re not earning while you’re missing work – up to 85% of your salary for up to three years. Replacement services: Help with household chores, services and child care. Attendant care: Nursing care for more serious personal injury where care is required to help with activities of daily living such as bathing and dressing. If a motorcycle operator or passenger is involved in a motorcycle accident and another motor vehicle is involved, he or she is entitled to auto Michigan No Fault insurance benefits. Auto insurer of the owner or registrant of the motor vehicle involved. Auto insurer of driver of motor vehicle involved. *If a passenger has no other way to get PIP, also known as personal injury protection benefits, or as I’ve been referring to it above as No Fault insurance benefits, the passenger would go through their own auto insurance before the Michigan Assigned Claims Plan (Frierson v West American Ins Co, 261 Mich App 732). Important: Please note that you have one year from the date of the accident to make a claim for your No Fault benefits in writing. Also, resident-relatives with auto insurance are not included in the order of priority for motorcycle accidents in Michigan, like they are for auto accidents with cars and trucks. Motorcycle accidents involving an automobile that’s not parked: The motorcyclist will qualify for No Fault benefits with one exception: If the motorcyclist is the “owner/constructive owner” of the vehicle, she must have motorcycle insurance or she will be disqualified. To put it another way, the motorcyclist must have motorcycle insurance on his or her motorcycle in order to qualify to recover No Fault auto insurance benefits from the owner/driver of the car or truck involved in the accident – if the motorcyclist doesn’t have motorcycle insurance, then he or she will be barred from recovering No Fault PIP benefits. Assuming the motorcycle is insured and if there’s collision coverage on the motorcycle policy, that coverage will pay for the damage to the motorcycle. 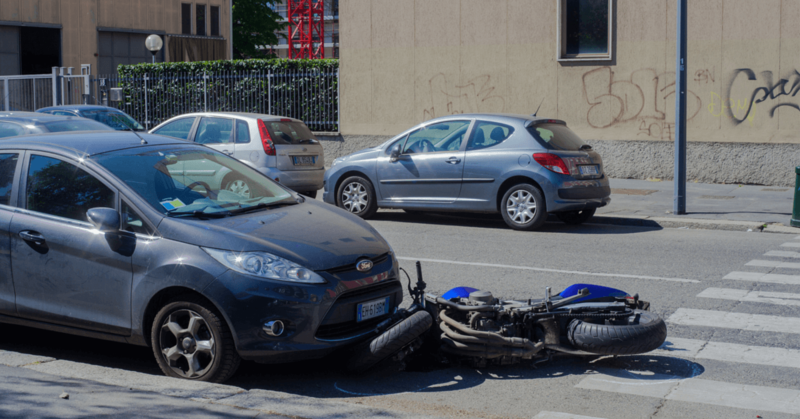 If the motorcyclist is at fault for the accident, the motorcycle insurer will provide legal representation for the claim and will pay up to the liability policy limits to any injured parties. However, the motorcycle insurer does not cover Michigan No Fault benefits like an auto insurer does. All other scenarios, including accidents with parked automobiles: The motorcycle does not qualify for normal Michigan No Fault benefits. The motorcycle owner can purchase optional motorcycle personal injury protection (PIP) coverage on her policy. 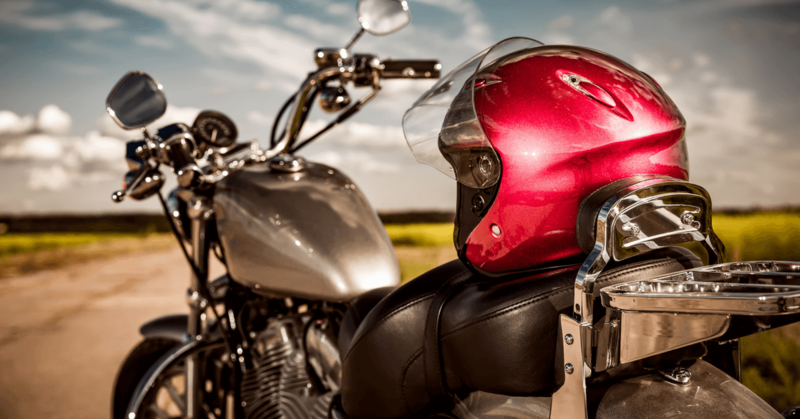 Motorcycle PIP will cover accidental medical expenses, but it is not the same coverage provided by regular auto Michigan auto No Fault insurance. Motorcycle/pedestrian accident: The motorcyclist involved in a motorcycle accident with a pedestrian may not be entitled to collect Michigan Fault insurance benefits. Likewise, a pedestrian injured by a motorcycle is not entitled to No Fault benefits. It’s always wise to discuss what insurance is available to you after a serious motorcycle accident with a Michigan attorney who has extensive experience litigating motorcycle accident cases. Feel free to call Michigan Auto Law at 800-777-0028 for a free review of your circumstances with one of our attorneys. We’re happy to answer all of your questions.